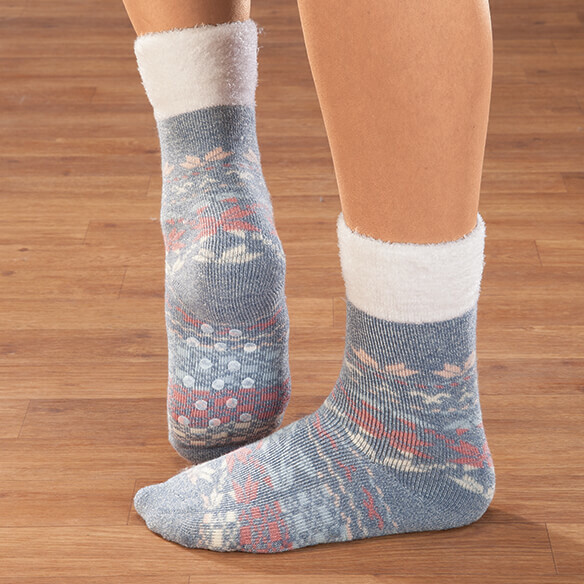 When you're serious about R&R, slip on these cozy Celeste Stein Brushed Terry Cabin Socks with warm knit uppers just like a favorite sweater! Perfect for enjoying morning coffee, watching a movie and all those moments in between, you'll love how the plush, fold-over lining keeps feet toasty. Other comfort features include a low-profile toe seam and defined heel. These slipper socks with grippers make a great gift!